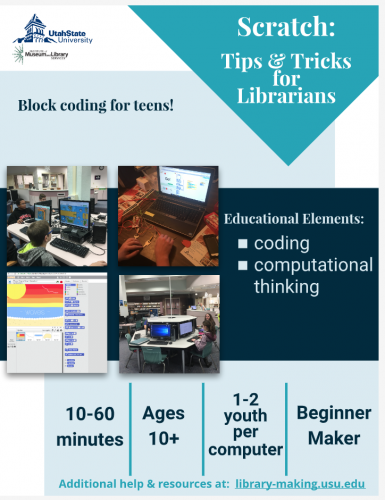 Scratch is a website that teaches youth block coding. Computers with internet access. Laptops or desktops work and it does not matter if you have PC or a Mac.